Chelsea host Man City at Stamford Bridge on December 8, and it’s been reported that Kevin de Bruyne is unlikely to return from injury in time. The 27-year-old has been limited to just five appearances so far this season due to a knee injury, and although results don’t reflect it, he is a crucial absence for Pep Guardiola. De Bruyne contributed 12 goals and 21 assists in 52 outings last season, guiding City to the Premier League title, and so they’ll be desperate to have him back fully fit sooner rather than later. According to The Telegraph though, they may not risk him against Chelsea and so he could miss that encounter, as well as games against Bournemouth and Watford. In turn, perhaps the meeting with Hoffenheim on December 12 could be the ideal time to bring him back, with the pressure off the Premier League champions having booked their place in the knockout stage of the Champions League already. It’s perhaps the most sensible strategy despite being desperate to see him feature in such a big clash with Chelsea, as the last thing that Guardiola will want is to see him rush back and suffer another setback. 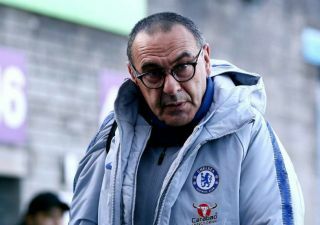 Assuming he doesn’t return in time then, it will be a boost for Chelsea who have now fallen seven points adrift of the league leaders and will be looking at that particular fixture as an ideal opportunity to claw their way back into the title race. From a City perspective, with a busy festive period imminent, a fully-fit De Bruyne will be the perfect boost for them to extend what has been an impressive start to the campaign which has seen them win 11 of their 13 league games thus far.